for the beginner as well as the experienced rider. Our horses are well accustomed to the trails we ride. 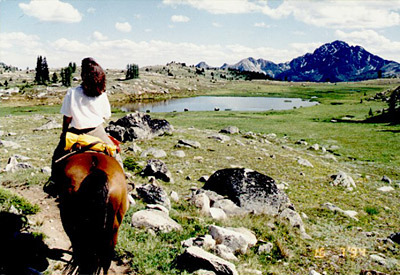 We offer horseback riding from one hour to all day trips. Age limit- 6yrs old and older, no riding double, weight restriction may apply (add 7.7% WSST). No Dogs Please, Two person minimum.